The Rocky Horror Show is one of the greatest musicals ever made, if not the greatest, and The Rocky Horror Picture Show is definitely in my top ten films. I saw the show in London many years ago and I was also lucky enough to see the one and only production of The Rocky Horror Discworld Show at the British Discworld convention (2010 I think). Anyway, here are 25 facts that you may or may not be aware of about this fantastic piece of entertainment! The writer and director first worked together on Jesus Christ Superstar. You might be wondering how the then unemployed actor Richard O’Brien came to know successful theatre director Jim Sharman in the first place, and the answer is that the two met when Sharman cast O’Brien as a leper in a stage production of Andrew Lloyd Webber’s Jesus Christ Superstar. You can’t really get less Rocky Horror than that. Source. Amazing really, as Jesus Christ Superstar is mostly naff. The film was shot in less than two months. According to O’Brien, the whole shoot took just six weeks and took place in the middle of winter. Source. Imagine the fun in those two months. Model Lorelei Shark provided the mouth on the movie’s iconic poster. Don’t tell me you haven’t put lipstick on and tried that look in the mirror. Mick Jagger wanted to play Frank. The Rolling Stones singer reportedly asked to play Dr Frank N Furter in the film adaptation after seeing the stage production but – we’re pleased to say – Tim Curry kept a hold of the part. Source. The musical’s working title was ‘They Came From Denton High’. This somewhat less majestic name was wisely scrapped before previews of The Rocky Horror Show musical began in London. Source. It sounds like a good horror short story though! Susan Sarandon came down with pneumonia during filming. It wasn’t an instant hit. 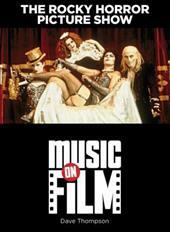 Despite Rocky Horror‘s cult following now, when it was first released back in 1975 it was virtually a universal flop. It wasn’t until cinemas began showing the movie at midnight screenings that it became popular. Source. The Oakley Court may look like fancy digs now, but when it was used as the filming location, it had no heat or bathrooms. Source. I’d love to stay there now! The actor who played Rocky does not speak or sing his own lines. The filmmakers hired model Peter Hinwood to play Dr. Frank-N-Furter’s “creation” clearly for his looks because he could not sing a single note on key. According to the book “Rocky Horror: From Concept to Cult,” his entire musical performance had to be dubbed over by singer Trevor White while Hinwood mouthed the words to the songs on set. Director Jim Sharman also wasn’t very pleased with Hinwood’s speaking voice either so they had White dub his dialogue as well. Not many people knew his entire performance had been dubbed until it was confirmed in the book ‘Concept to Cult’ in 2002. Source. The motorcycle scene saw some serious accidents. The stuntman was hurt, but not seriously (it’s what they do!). According to Bostwick, there was one designated “warm room” in the castle with space heaters that the cast would crowd into between takes…until it caught on fire. Source. I guess that may have heated the surrounding rooms temporarily? Rocky Horror moved to Broadway in a hurry, opening in January 1975. The New York production flopped, and closed after just 45 performances. Source. Those people (every New Yorker who didn’t see it in 1975) should be ashamed. Richard O’Brien originally wanted to play Eddie. Little Nell was cast for her tap dancing skills alone. One day I will get that suit. Dr. Frank N. Furter originally had a German accent. Patricia Quinn took the Magenta role just so she could sing “Science Fiction/Double Feature” on the stage, but when it came time to film The Rocky Horror Picture Show, it was decided that O’Brien should sing the song instead. Quinn wasn’t happy, but she did get a small consolation: The iconic lips that sing the song in the opening credits are hers. Source. I think it’s my favourite song in the film. According to Sharman, 20th Century Fox offered him “a reasonable budget” if he would cast “currently fashionable rock stars” in the lead roles for The Rocky Horror Picture Show. Sharman lobbied instead to keep the original stage cast (with some exceptions, like the addition of Barry Bostwick and Susan Sarandon), and instead got a “modest budget” and a very tight shooting schedule. Sharman now calls the decision “crucial” to the film’s cult success. Source. It’s hard to imagine any of the roles played by different actors. For the iconic dinner party scene, in which Furter reveals that his guests have been dining on Eddie, Sharman elected to tell only Tim Curry—who had to pull away the tablecloth to reveal Eddie’s corpse—what the surprise of the scene was. He wanted the rest of the cast to be genuinely shocked. Source. I love the electric meat carver in this scene. The movie production added Gothic horror elements to the original stage show’s outrageous camp, borrowing heavily, almost to the point of parody, from the comedic 1932 Boris Karloff fright film, The Old Dark House. Source. Hmm, I haven’t seen this. When Eddie escapes the deep freeze, he wears three rings on his left hand: his middle, ring and pinkie fingers. Bizarrely, the pinkie ring actually disappears in quite a few shots, including when Eddie plays the sax and when he lifts Columbia, just before they mess around on the floor. Source. Meatloaf never rode the motorcycle. Such an underrated actor though. It was Tim Curry’s first movie. Hard to believe! Among the other scare films shot at Oakley Court are The Brides of Dracula(1960), The Reptile (1966), The Plague of the Zombies (1966), And Now the Screaming Starts (1973), Vampyres (1974), and the Peter Cook-Dudley Moore spoof,The Hound of the Baskervilles (1978). In addition, spook-show gimmick masterWilliam Castle remade The Old Dark House there in 1963. Source. The lab tank and the prop body used for Rocky Horror’s coming out sequence had been used in the Hammer Films favorite, The Revenge of Frankenstein (1958). Source. THE CREW USED REAL SKELETONS. The gothic clock was no mere prop. In fact, the woman who first commissioned it to be made had one request — to be entombed within it. That’s her real skeletonrevealed hiding inside. Source. Interesting infos. I had seen this at a midnight showing in the late 1970’s (showing my age here). There were over a dozen audience participation gags that went along with the film including the audience shooting water pistols in the air to simulate the rain on screen, throwing rice, and additional dialogue the audience would speak that made it seem like they were interacting with the characters on the screen. I believe it was this audience participation that saved the film from fading into obscurity and made it a hit with the midnight movie sector for years.